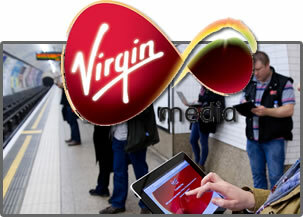 Virgin Media have confirmed that tomorrow will be the last day that travellers on the London Underground will be able to use the free wi-fi service put on by the telecommunications company, with the already-extended trial period now ending to be replaced by a subscription package. The pilot project, which made the mobile internet signal available to all travellers on the underground train route in England’s capital, was originally to be made available for free throughout the 2012 Olympic Games last summer, though high consumer demand and popularity saw the trial rolled out further, but it now appears as though people who want to use the service later this week will need to pay for it after Virgin decided to begin their premium version. The ‘premium version’ will cost users variable subscription rates (£2 per day, £5 per week, or £15 per month), though subscribers of any other Virgin service (Virgin TV, broadband, or phone) will be able to use it for free, as will ‘mobile contract holders’ with EE, Orange, T-Mobile, or Vodafone, following a deal between them and Virgin made last November relating to the initiative. 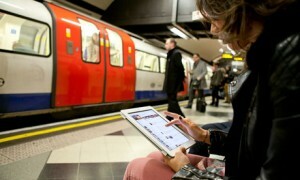 Residents of London (England) may have a temporary fix for gaining free Wi-Fi access to connect to their mobile devices, as Virgin Media and London Underground have teamed up to announce plans of bringing 120 tube train stations connectivity by the end of the year, with over two-thirds of them set to be ready and operational by the start of the 2012 Olympic Games, which is being hosted by the city. The ‘roll-out programme’ initiated by the cable TV providers and telecommunications company will see the ‘free Wi-Fi’ service launch first to King’s Cross and Oxford Circus stations, with users of smartphones, tablet computers, and laptops set to be able to browse online while they are waiting for their train. Plans are also in place to launch to 80 more stations by the end of July, with the planned total available ahead of the Olympic Opening Ceremony on 27 July being 82, with notable stations such as Stratford, Leicester Square, and Liverpool Street due to be amongst those included. The Wi-Fi services for the remaining 38 stations are then set to be launched during the remainder of 2012. Over an unconfirmed ‘initial period’, the service is due to be available for free to all commuters, though it will eventually switch to a subscription/pre-pay model, with Virgin Media customers set to be at an advantage based on the nature of their subscription. However, one feature that will most likely be free-for-all is the live ‘Transport for London’ app, which will offer free travel information for the transport network, due to offer updates and timetables as they happen. The move will mirror that of the ‘London Overground’ train network, with all passengers able to access a summer-long free WiFi access at station courtesy of Sky-owned provider The Cloud. While the potential for these networks to permit free online video as a result of their networks is currently unconfirmed, with the network providers both notable names in the broadcasting platform world that could take strategic advantage of their current position through mobile content offerings. If that becomes the case, will it be Underground or Overground customers who become better known for ‘watching for free’?